If you’re looking for urban wilderness, it might be time to visit Moscow. 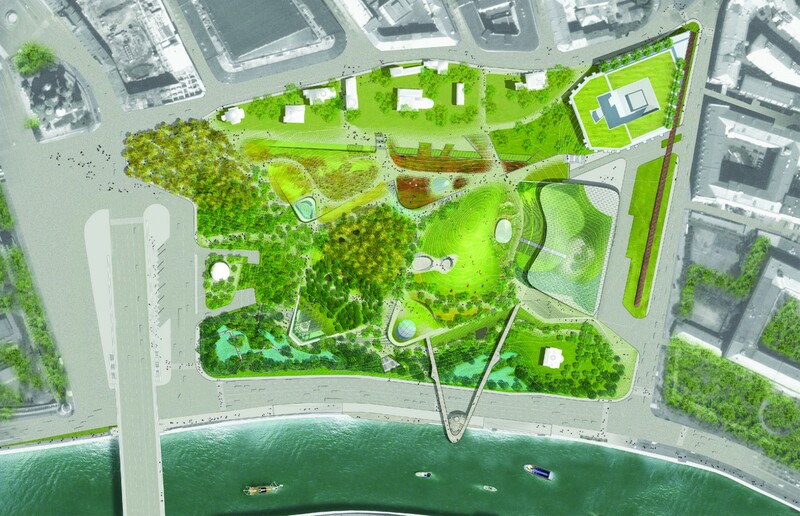 Diller Scofidio + Renfro won a competition in 2013 to design Moscow’s first new public park in 50 years. 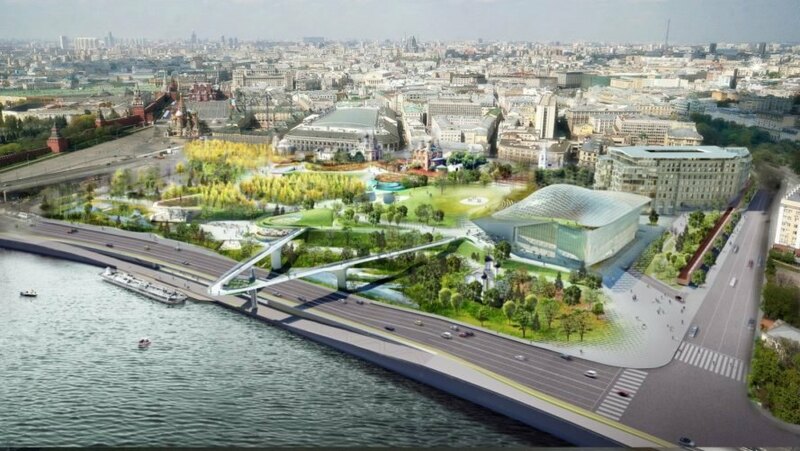 Now, the New York architecture firm has just opened Zaryadye Park, a markedly wild, pathless green space that includes various augmented microclimates to mimic various parts of Russia, including steppes, forests, wetlands, and even tundra. 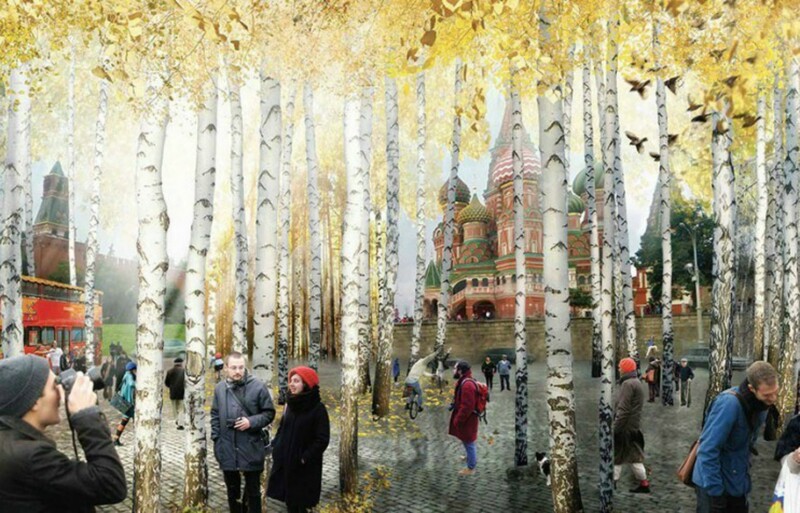 Located in a former commercial part of Moscow just next to Red Square, the creation of the 35-acre park is part of a major push by the city to improve and increase local green space. Commissioned by Moscow Chief Architect, Sergey Kuznetsov, the innovative park design by Diller Scofidio + Renfro includes a number of unique features that stand out from traditional Russian parks. In contrast to the city’s highly landscaped and symmetrical parks, Zaryadye’s design embraces a notable wild side that avoids the typical designated zones found in most parks. Free from paved walking trails, the entire surface of the new park is open green space, with grey paving stones that surround the perimeter. According to the architects, the “wild” green space was a strategic design meant to encourage complete freedom of movement – offering an “unscripted park experience” for visitors. “It is a park for Russia made from Russia…it samples the natures of Russia and merges them with the city, to become a design that could only happen here. It embodies a wild urbanism, a place where architecture and landscape are one,” explains architect, Charles Renfro. The interior is planted with native flora, which is used to create a replica of the country’s four major microclimates: steppes, forests, wetlands, and tundra. Using temperature control systems as well as daylight simulation and wind elimination, the augmented climates allow locals to use the park all year long. Open hills in wintertime become fun sledding hills and five pavilions allow for shaded shelter among the green space. There are also two amphitheaters and a philharmonic concert hall. 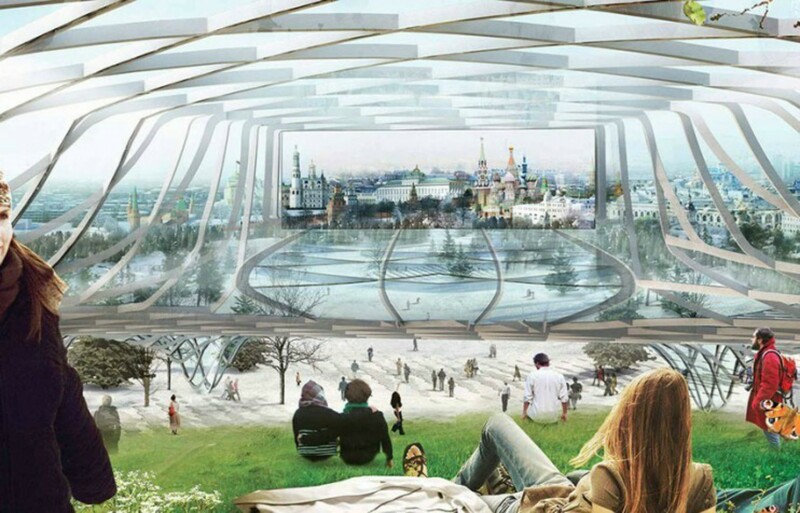 In 2013, Diller Scofidio + Renfro won a competition to design Moscow's first new public park in 50 years. 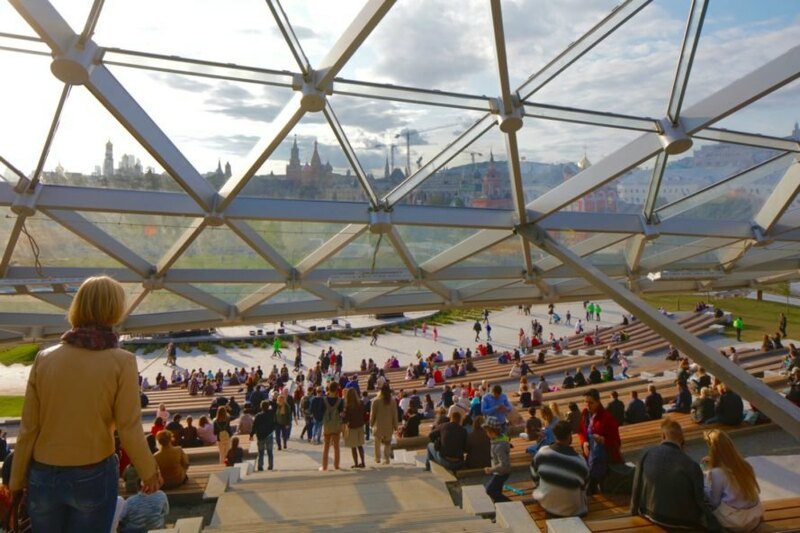 Now, the New York architecture firm has just opened Zaryadye Park, a markedly wild, pathless green space that includes various augmented microclimates to mimic those found throughout Russia, including steppes, forests, wetlands and even tundra. A large green-covered platform provides stunning views of the park. 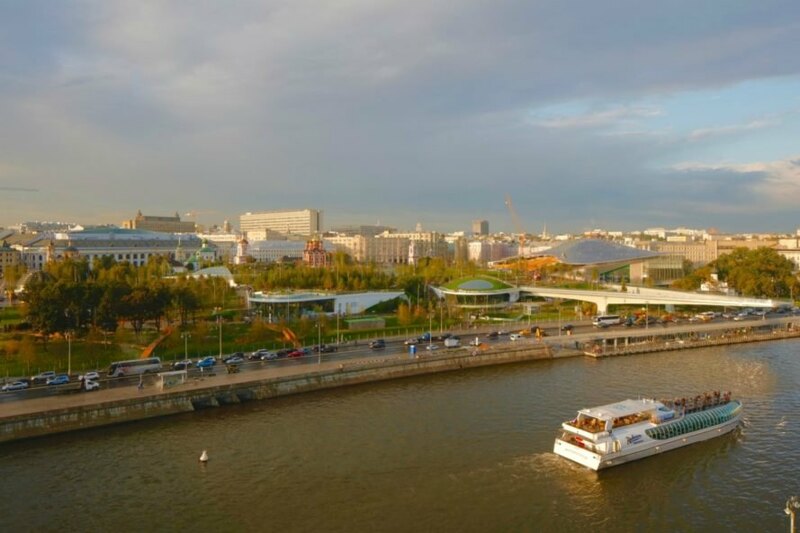 A jutting walkway hovers over the street to provide views of the overlooks the adjacent Moskva River. Located in a former commercial part of Moscow just next to Red Square, the creation of the 35-acre park is part of a major push by the city to improve and increase local green space. 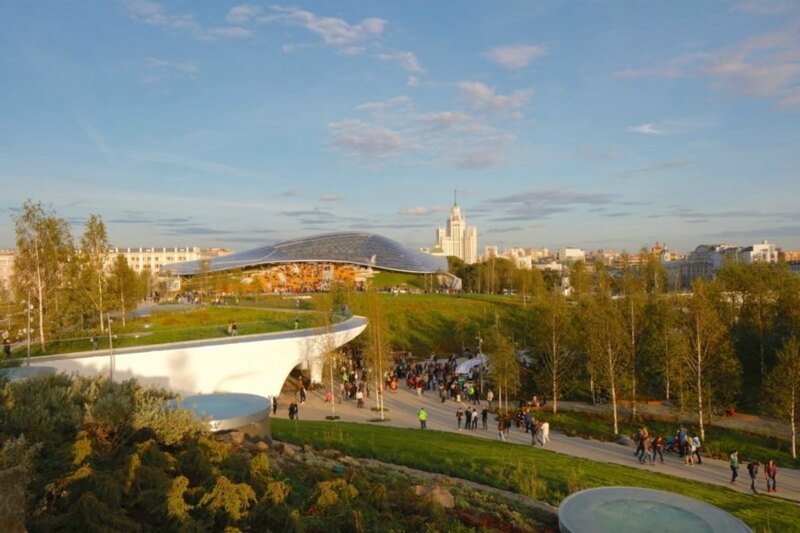 Commissioned by Moscow Chief Architect, Sergey Kuznetsov, the innovative park design by Diller Scofidio + Renfro includes a number of unique features that stand out from traditional Russian parks. In contrast to the city's highly landscaped and symmetrical parks, Zaryadye Park's design embraces a notable wild side that avoids the typical designated zones found in most parks. The entire surface of the new park is open green space, with grey paving stones that surround the park's border. The park is just behind the famous Red Square. There are two amphitheaters and a philharmonic concert hall.